After 800% rise in one year, is HEG stock still a good investment bet? The midcap stock rose nearly nine times in one year on robust demand for its main product graphite electrode which is used for making steel worldwide. The firm also reported its Q1 earnings recently. Earnings before interest, tax depreciation and amortisation (EBITDA) rose to Rs 1,196 crore as against Rs 24 crore in the corresponding period last year. The HEG stock has proved to be a chartbuster on Dalal Street since the beginning of 2017. It gained 2760% since January 1 last year. 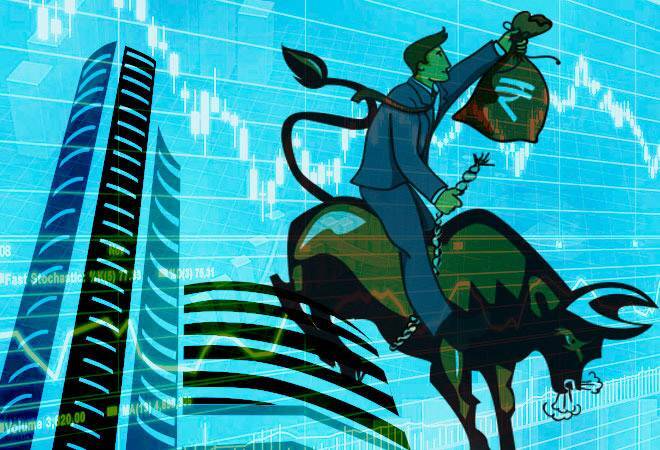 The stock has gained 802% since the last one year compared to 18.15% rise in the Sensex. The midcap stock rose nearly nine times in one year on robust demand for its main product graphite electrode which is used for making steel worldwide. The firm also reported its Q1 earnings recently. Earnings before interest, tax depreciation and amortisation (EBITDA) rose to Rs 1,196 crore as against Rs 24 crore in the corresponding period last year. The firm posted a rise of 645% in revenue to Rs 1,595 crore compared with Rs 214 crore in Q1 of FY 18. It reported Rs 770 crore in net profit in June quarter compared with Rs 8.43 crore loss in Q1FY18. With the stock witnessing a meteoric rise since the beginning of 2017, is it good time to invest in the share currently? The brokerage maintains 'buy' on the stock and has revised its target price from Rs 4,400 to Rs 5,430. The firm reported strong Q1 earnings driven by higher realisation of $14,333 per tonne compared with $12,500 per tonne. Earnings before interest, tax, depreciation and amortisation per tonne rose 23% on a quarter on quarter basis. It revised the firm's earnings estimates by 24-47%. ICICI Direct gave a buy call on the stock on August 2, 2018 with a target price of Rs 5,000 and said the stock could be bought at 4,400 level. The price of the stock at that time stood at 4,409.64. HEG's unprecedented numbers and a lot of its success are owed to seemingly unrelated events that happened in a foreign land. HEG is currently trading around Rs 4300, which represents an 800% increase in stock price in a period of one year. The markets have priced in the competitive advantage and the favorable operating conditions that HEG is currently operating under. The nearly 4 times increase in the price of the finished product has led to significant improvements in margins, slow capacity addition and lack of players in the Industry thus far has added to the topline growth. The company has some very healthy numbers, which are reflected in the stock price, even with an 800% increase in the stock price it is still trading at P/E of 9.3 based on the EPS (TTM), its closest competitor is currently trading at a P/E of 22, the ROE stands at 81 percent and ROCE is at 99.65%. We believe that there is room for the stock prices to go up at-least in the next two to three quarters. There are several factors that are currently working in favour of the whole space. However, if the input cost of the most important raw material continues to go up and if more supply comes online at a faster rate, markets would reset the valuations and in that scenario we can see HEG stock price coming under pressure. We believe that in the short term for at least two to three quarters, the stock will continue to outperform the markets and would remain a safe bet. This stock gave 321% returns in one year, do you own it? This stock turned Rs 1 lakh into Rs 5 lakh in two years, do you own it?